Congratulations to the following Scots who won medals at the British Cadet (U-17) and Junior (U-20) Championships 2015. Results from the Scottish Open 2015, held at Meadowbank Sports Centre in Edinburgh, 24-25 January 2015. The Results and Rankings after the first two qualification events are shown here. Linlithgow Academy hosted this year's Scottish Schools Individual Championships over the weekend of 29th/30th November 2014. 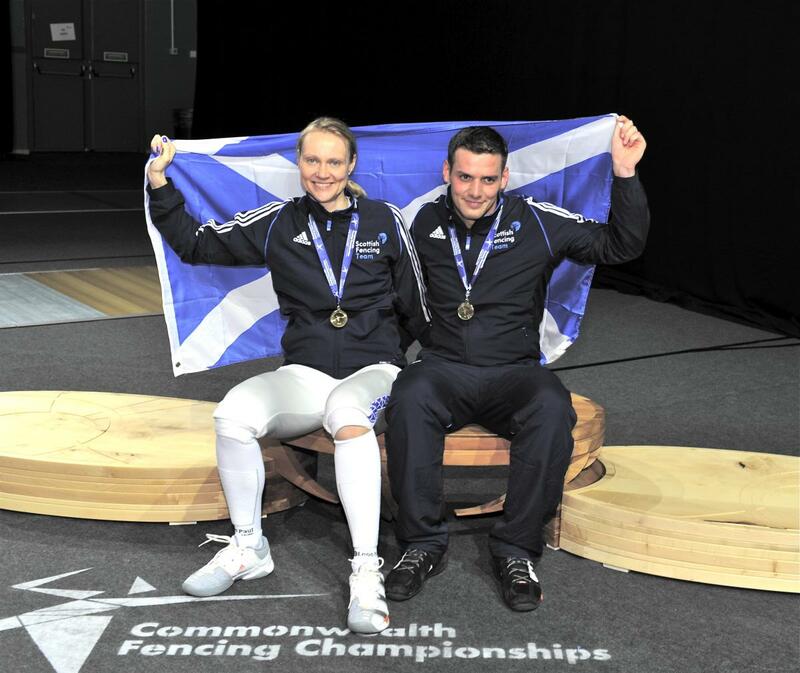 Congratulations to the Scotland team for taking their country to third place in the medals table! Results from the 2014 Highland Open held in Elgin Academy 25/26 October. 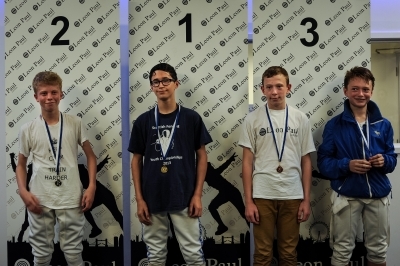 Mark's latest win took place at the Hendon (N London) Sabre Leon Paul Junior Series competition on 20 September 2014. Here he is on the podium, having won the Under 13 event.